Paul Dark is an agent with MI-6. He is one of their most decorated and respected agents, having served with distinction for two decades since the time he, at the prompting of and with the support of his father, another trained operative, joined at the beginning of the Cold War. Now as the 60s are coming to a close, he might have been looking for a way to retire with honor, perhaps even with a knighthood among the possibilities. Dark is also a highly duplicitous traitor, a man who has served two masters for nearly as long as he has been with the Circus. 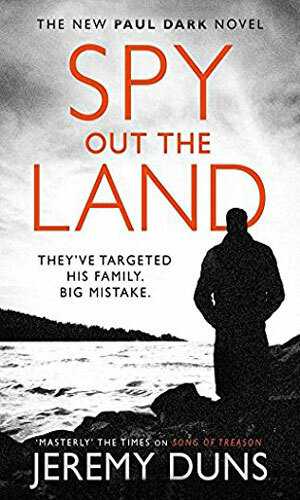 As events unfold which look to bring his house of lies down on his head, he knows he can flee before his identity is revealed and he might have a chance to get away with. He also knows that victory favors the bold and he has never taken the easy way. Striking at those who are looking for a mole but who do not know it is he, he just might survive. That is the route he takes. When he was recruited as a young man at the end of the Second World War by his father to help out British Intelligence, he thought it to be a noble cause. As he did the work, though, he began to have his doubts about his father's motives since all they seemed to be doing was killing former Nazis. His doubts became solidified when, badly hurt on an assignment, he met a beautiful nurse named Anna. Her job as really a Soviet spy was to turn him and she nearly succeeded. Her death at the hands of his colleagues, though, closed the deal. As the trilogy begins, Dark becomes aware that his life as a double agent is nearing an end. A Soviet defector is talking about moles and Dark knows he is one of them. His concern is tempered with irony when the head of the department chooses him to help sniff out the bad guys. He can only continue the charade so long, though, and in the second book he must plan his departure and new life in Russia. The questions he then faces is whether he will be as welcome as he hopes and whether he hopes for a welcome as much as he might. The third and final book deals with being the one person who can help avert a major nuclear war but with both sides having no reason to trust or listen to him and every reason to want him dead, being the real hero for once in his life is likely going to kill him. 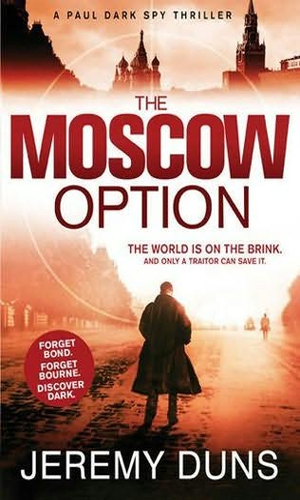 The defection of a Soviet KGB colonel, bringing with him word there is yet another mole in MI-6, alerts Paul Dark to the fact that he is likely to be arrested. Fleeing might be his only way to stay alive but he wants another choice. To all appearances, Paul Dark had gotten away with the killing of his boss at MI-6 and was a free man. Then things develop that pull him back into the clandestine world to go up against an international conspiracy that is likely to get him killed. 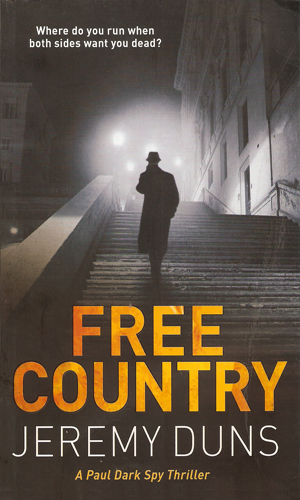 It is 1969 and Paul Dark sits in a prison in Russia, hated by both sides of the Iron Curtain. As the Soviet Union looks to be on the brink of nuclear war, Dark knows that he might be the only one to keep the world safe but can anyone ever trust him again? The year is 1975 and two events thousands of miles apart will cause Paul Dark to go back into action. In Rhodesia, a summit is about to take place to resolve the tension there. In Stockholm, Claire and Erik are just wanting to be left alone to raise their son. Nothing goes as desired. I really, really hate books in which the protagonist is a bad guy. I read for entertainment and having the hero be a rat is not something I want to do. It is very hard to get enjoyment out of something you despise. That is what makes the Paul Dark series such a conflict to me. This is some seriously good writing about a seriously unpleasant topic. When an author as incredibly talented as Mr. Duns takes you into the world of a scoundrel leading a duplicitous life, it is hard to let go. It is also hard to stop the feelings of paranoia and impending doom. You start looking at your spouse and children and wondering if they are on to you, and you have not done anything wrong! That is a good author. I do not sympathize nor empathize with Dark. He made a bad decision when he was young and continued it for more than two decades. People lost their lives because of his traitorous actions and if there were a hell for fictional bad guys, he belongs there. 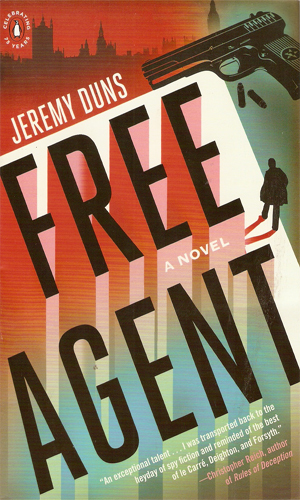 The books, though, belong in the collection of any fan of really well written spy novels. I can't agree with our leader on this one. Set in the '60s to cash in on all things retro, the books are just sub standard tosh. When the PR blurb compared this author to Le Carre and Deighton I fell about laughing. There's something pretty dire about these books. Not well written, not engaging and not that entertaining.